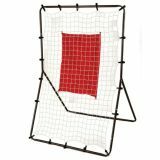 Champion Sports Deluxe 3-Way Return Throw is great for perfecting the strike or the long base throw. 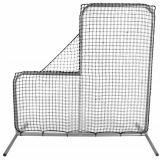 This screen features three return angles to vary training, a high visibility strike zone and an all-weather steel frame for maximum durability. 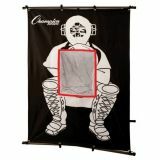 Keep your arm strong and perfect your aim with the Champion Sports Deluxe Pitchers Target. 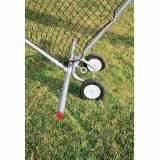 This target is designed with a high visibility strike zone, and a snap and lock frame for easy assembly. Features a steel frame and all weather screen. Hone your skills with the Champion Sports Insta-Screen Portable Batter and Pitcher Screen. Made from sturdy, lightweight spring steel, this net folds down to a compact 36" circle for convenient storage and transport. 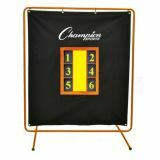 Champion Sports Multi-Sport Pitch Back Screen is a unique training tool that rotates to different angles for multi-sport use. 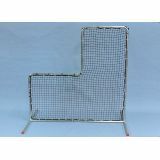 The powder coated steel frame features heavyweight nylon netting and a square target to help with aim and accuracy. 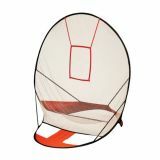 Champion Sports Pitchers Target and Return Throw Set features 3 zones to vary training, a high visibility strike zone and an all-weather steel frame for maximum durability. It utilizes bungee cords for easy set up! 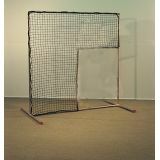 Champion Sports Pitching Safety Screen features a heavy-duty frame and heavyweight netting for maximum durability. 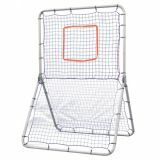 The practice screen is reversible for left or right-handed pitchers and features a pillow case style net for quick assembly. 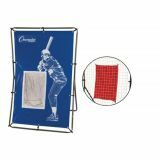 The Champion Sports Pro Pitchers Screen with Stand features a built-in ball collection pocket and high-visibility target with six zones. 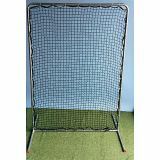 This screen doubles as a backstop for hitters, and the heavy-duty design ensures proper shape and support.